This year sees the first step in the phased introduction of the new GCSE grading system. This is the first major change to GCSE grading since the introduction of the A* grade in 1994. The new GCSEs will be graded 9–1, rather than A*–G. Grade 9 is the highest grade, set above the current A*. The intention of the new system is to provide more differentiation, particularly among higher achieving pupils. Which subjects are affected and when? The new reformed GCSEs in English language, English literature and mathematics were first taught in September 2015 and the first results using the new grading system will be published this August. The majority of other subjects will follow in the third tranche of changes and these will first be taught in September 2017 and examined in summer 2019. This also includes several IGCSE qualifications. The phased introduction of the grading system means that your child might have a mixture of lettered and numbered grades if they are taking GCSEs in 2017 and 2018. The new GCSE grading scheme is part of a new curriculum which was introduced in England's schools in 2014 by Michael Gove, the Education Secretary at that time. He wanted pupils to study a wider and more demanding syllabus. He called for a more traditional format, with less coursework than before and a greater weight on final examinations taken after two years of study. 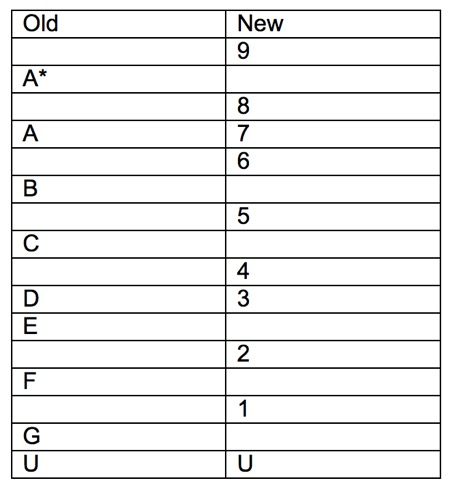 The table shows how the old and new grades equate. The lower end of the new grade 4 will be equivalent to the lower end of grade C. Approximately the same proportion of students will get a grade 4 or above who currently get a grade C or above. The lower end of the new grade 7 will be equivalent to the lower end of grade A. Approximately the same proportion of students will get a grade 7 and above as currently get a grade A and above in any particular subject. Although there are fewer numerical grades for the lower ability students, there are more for the higher ability allowing for greater differentiation at the mid to high ability range. Close to 20% of students across all subjects who achieve a grade 7 or above will be awarded the grade 9. There are two areas which parents and employers should give careful consideration to. Firstly, the old and new grades are not exactly equivalent. A grade 9 will be more difficult to achieve than an A* in the current system. However, this ensures that the top possible grade truly represents the most able students. Secondly, five C grades has traditionally been the benchmark to many opportunities. The C grade is now split between levels 4 and 5. This is to align the UK with the average PISA performance in countries such as Finland, Canada, the Netherlands and Switzerland which are often taken as a benchmark of academic excellence. However, universities are now setting different "pass" grade equivalents. University College London says a C is now a grade 5, while already, Manchester and Liverpool have set the benchmark at grade 4. Education Secretary Justine Greening says that for school performance tables, the government will publish "standard passes" (grade 4 and above) but also the "strong passes" (at grade 5 and above). It is yet to become clear how universities will view the new grading system. • The aim is that, across all subjects, around 20% of those achieving grade 7 and above will be awarded grade 9, although the percentage will vary between subjects. • Grade 5 will be positioned in the top third of the marks for a current Grade C and bottom third of the marks for a current Grade B. Chief regulator Sally Collier says students who get a nine will have "performed exceptionally". Parents may worry that children taking GCSEs this year and next will be guinea pigs for the new grading system. Ofqual has taken these concerns seriously and says that these students will not be disadvantaged. In 2016, in English and in maths, about 70% of 16-year-old students achieved a grade C or above and it expects a similar percentage to achieve a 4 and above in this summer's exams. The full effect of the changes will not be known until 2020 but we can be certain that the new curriculum and grading system are designed to make sure all our students are fully stretched and to raise standards across the board. 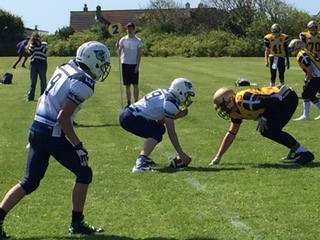 The new Cobham Cougars U17 American Football team hosts the third tournament in the British American Football league on Saturday 20th June, 1pm, at the ACS International School, Portsmouth Road, Cobham. The Cobham Cougars are currently 3 & 3 - won three, lost three - two of those losses were by just a single score. 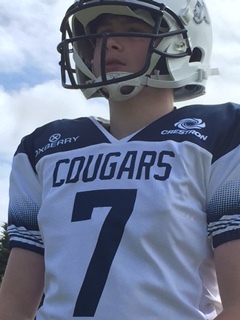 The Cougars have been training together since March and are the only U17 youth team in the South West London area, taking in players from the Kingston, Weybridge, Leatherhead and Woking areas. Sponsors Oxberry and Crestron invite local residents to visit the event and watch the new youth team in action. 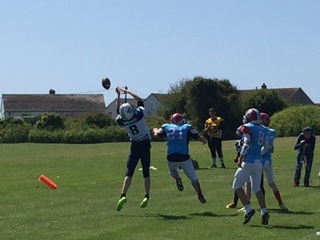 As massive in America as the Premier League is here, the National Football League is getting a following among teenagers in London partly due to the NFL games played at Wembley in September and October in recent years.